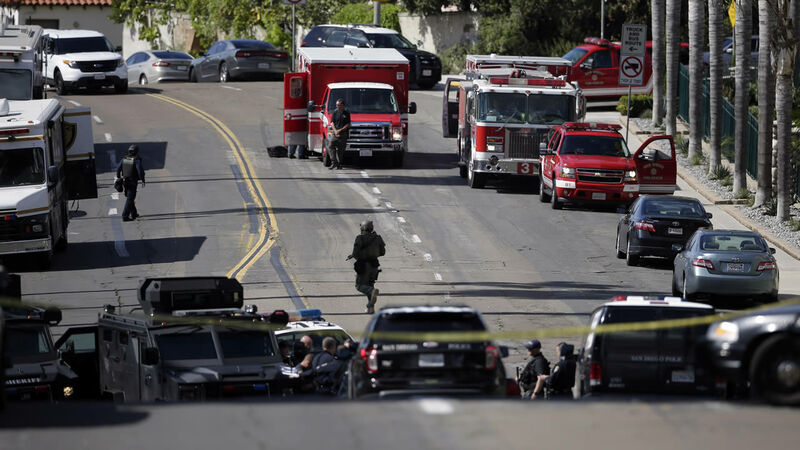 SAN DIEGO -- Police have identified the gunman who fired off sporadic rounds inside an apartment complex, disrupting air traffic at the nearby San Diego International Airport. Officials say 33-year-old Titus Colbert surrendered to police after a more than five-hour standoff Wednesday, and no injuries were reported. The Federal Aviation Administration halted incoming flights for several hours as a precaution because planes swoop low near the apartment complex before landing. San Diego Police Lt. Scott Wahl says Colbert threw "multiple weapons" out the window of a rooftop apartment before being taken into custody. Wahl says officers exchanged gunfire with the suspect in the morning after responding to a domestic violence call at the apartment, where the victim lives.